This is one of the most prestigious developments on the Costa del Sol. An exceptional space from which, on a clear day – which means practically every day – you can see the African coast as the backdrop to a Mediterranean Sea as bright as the climate itself. High quality, surrounded by everything you need. Next to the renowned development of La Zagaleta, a few minutes from the Golden Mile of Marbella, just 100 metres from a small but complete shopping centre, and very close to three of the most prestigious golf courses of the region: La Zagaleta, Los Arqueros and La Quinta, which makes this spot perfect for lovers of this sport. 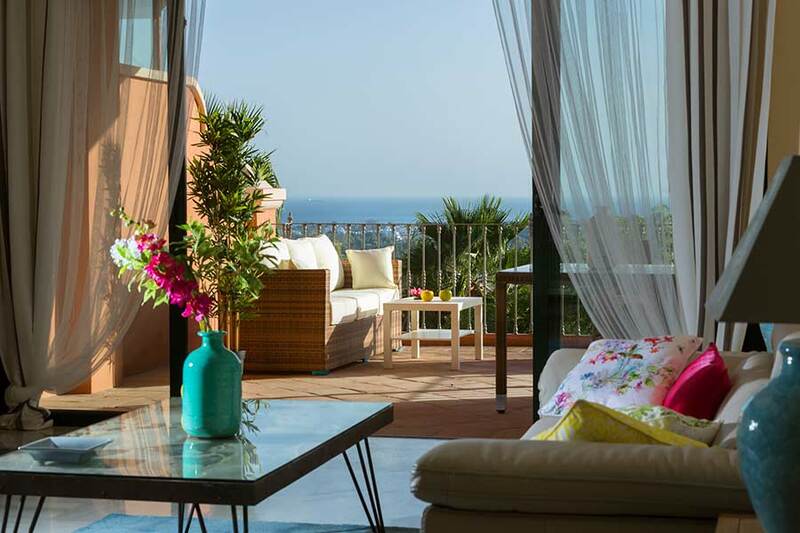 You can breathe the sea and you’re surrounded by peace in this exclusive residential complex in Benahavis. 2- and 3-bedroom apartments, with a garage space and option of a storeroom. All apartments have spacious, attractive terraces, complete, fully-equipped kitchens and a living-dining room. All the apartments are outstanding for the quality of the materials and the meticulous detail of all the elements.